Hard-working bluesman Paul Miles has received an incredible eight nominations for the upcoming Detroit Music Awards, which will be held on April 19 at the Fillmore Detroit. “I’m extremely honored,” Miles said. “It’s like rolling the dice. I just continue to do my best and the people have responded. I am deeply honored and touched by that. Miles received nominations in the Outstanding Blues Artist/Group, Outstanding Blues/R&B Vocalist and Outstanding Blues/R&B Songwriter categories. He was also nominated for Outstanding Video/Independent Budget - Under $10,000 (“Desert Bloom”) and Outstanding R&B/Blues-Recording ("Spirit of Humanity Show Part II "). Miles wanted to be sure to share the credit for the nomination for “Spirit of Humanity” with his band: background vocalists Chrissy Morgan and Amber Tomlin, bassist Emily Rogers, saxophonist Robert Reeves and drummer Ken Murphy. Morgan, Tomlin and Rogers each received their own individual DMA nominations as well. Miles, an excellent acoustic guitarist, also was nominated as Outstanding Acoustic Artist/Group and Outstanding Acoustic Instrumentalist, and for Outstanding Acoustic Recording (“Back to Sturgis”). Honors are nothing new for Miles, who got his start playing at coffeehouses at Bowling Green State University in Ohio, where he was a star running back (he was the career rushing leader in the Mid-American Conference at the time of his graduation with 3,239 career yards, finished his career ninth on the NCAA's yardage list and went on to play pro ball in the World Football League). Miles' No. 29 jersey is the only football jersey ever retired at Bowling Green. Miles, who also earned two letters as a member of the BGSU baseball team, was inducted to the schools’ Athletic Hall of Fame in 1990. He excels on a different playing field now. Paul Miles with Harmonica Shah and Joe Ballor at a benefit for Arise Detroit! Miles won the Detroit Blues Challenge solo/duo division in 2002 and represented the Detroit Blues Society at the International Blues Challenge in Memphis, Tenn. He also represented Marietta, Ohio, at the IBC and finished as a semifinalist. 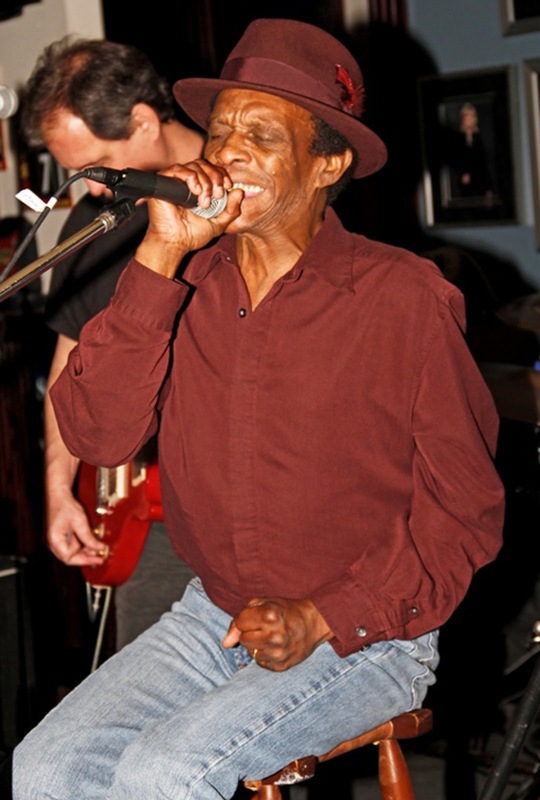 He is a six-time Detroit Music Award winner, and was named Best Blues Singer in 2012 at the Detroit Black Music Awards. Miles, an Ohio native, has also been involved in many, many charitable efforts, including his own "Help Your Neighbor Project." His current idea is Detroit Aid, a fundraising concert based on the Farm Aid model that would help ease the financial troubles of his adopted home. “A lot of people have given me ideas and support and are willing to volunteer,” Miles said. “It’s not a fix, but a help to alleviate some of the problems that are there. Check out his music at www.pauljmilesmusic.com. Nominated as Outstanding Blues Artist Group are Barbara Payton & the Instigators, Erich Goebel and the Flying Crowbars, Howard Glazer, Jim McCarty & Mystery Train, Motor City Josh, and Paul Miles. Nominated as Outstanding Blues/R&B Instrumentalist are Bobby Murray (guitar), bugs Beddow (trombone/flute), Emily Rogers (bass), Howard Glazer (guitar), Jim McCarty (guitar), Motor City Josh (guitar), Nolan Mendenhall (bass) and Pete Peltier (guitar). Nominees for Outstanding Blues/R&B Recording include “Angry City” by Brian “Roscoe” White and Lamont Zodiac, “Eat, Drink, Boogie, Repeat” by Carl Henry, “Messin’ With a Fool” by Eliza Neals, and “Spirit of Humanity Show Part II” by Paul Miles. Nominated as Outstanding Blues/R&B Songwriter are Eliza Neals, Howard Glazer, Motor City Josh, Paul Miles, Stacia Petrie Ford, and Martin “Tino” Gross. Nominated as Outstanding Blues/R&B Vocalist are Barbara Payton, Eliza Neals, Kathleen Murray, Motor City Josh, Paul Miles, and Tosha Owens. Guitarist/banjo player Jeff Grand received a nomination as Outstanding Country Instrumentalist and Janiva Magness’ “Stronger For It” (Alligator Records) received a nomination as Outstanding National Major Label Distribution Album. To vote for your favorites, go to detroitmusicawards.com. Starting tonight and continuing every Wednesday from 8 p.m, to midnight,, the Luther Badman Keith Blues Band and Friends present New Blues in Detroit at Bert’s Marketplace. Badman invites folks to come down and listen and for musicians to play. Multiple Detroit Music Award winners The Brothers Groove -- Chris Codish (keyboards and vocals), James Simonson (bass), and Skeeto Valdez (drums) -- will be performing a special "blues heavy" edition with special guest guitarist Brett Lucas (Bettye Lavette, St. Cecilia, Rattlesnake Shake) on Thursday at The Northern Lights Lounge in Detroit. They start at 9 p.m. and there’s no cover. 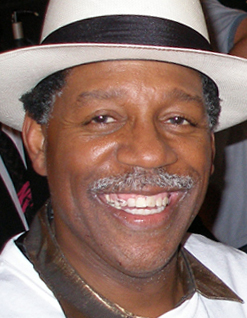 The Brothers Groove were recently featured on the final recording by blues singer/guitarist Johnnie Bassett, “I Can Make That Happen” (Sly Dog Records). If you don’t have that CD in your collection yet, check it out and thank me later. Singer Horace “Little Leon” Mills suffered a stroke late last month and is currently at Henry Ford Macomb Hospital in Clinton Township. Little Leon is a New Haven native who has been a fixture on the Mount Clemens music scene for many years. Leon’s bandmate in Strat Axis, bassist Steve Ferdig, reports that Leon has been experiencing health problems for the past few years and that Leon suffered a stroke on Feb. 25 while at the hospital for a checkup.